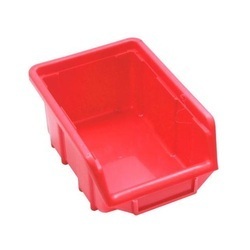 We are offering Plastic Storage Bin. - Strong heavy duty reinforced base, sides & stacking rim. - Clear access to contents. Exporter of a wide range of products which include plastic swing bins, plastic bins, plastic garbage bin, plastic garbage bin with lid 6005, plain waste paper basket (small) and plastic paper bin.Plastic Swing Bins are extensively used as storage containers of waste & unwanted materials. 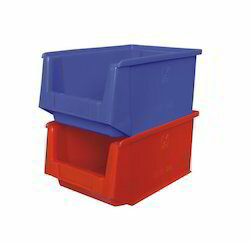 These bins are designed by making use of prime quality plastic as per the industrial quality standards. Manufactured from high strength polypropylene. Fit on standard louvre panel, interlocking design.